“Utah has a long tradition of self-reliance dating back to our founding. Whether it is planning for natural disasters, establishing personal financial security, or looking after our own health, preparing for the unexpected is a part of our culture. “One of the most important things we can do as a public office is to help prepare Utah citizens and their families with the tools to protect themselves, their loved ones, and their resources. 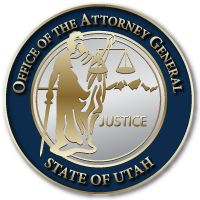 The White Collar Crime Offender Registry, which helps Utahns search a database of convicted white-collar criminals before they invest and the SafeUT app, which gives individuals in crisis direct access to trained professionals, are two technologies our office has collaborated with the legislature and other state agencies to introduce over the past year. In addition, ongoing school internet safety training through NetSmartz helps educate students about best practices for online and social media use, for our children, for dating, and for privacy. This entry was posted in Archived Posts, Recent Posts and tagged National Preparedness Month, Sean Reyes on June 27, 2018 .